Happy November! Even though 2018 is almost wrapped up, we're still hard at work building some cool new features. This month we're excited that our GraphQL implementation has graduated from Alpha into Beta. We're incredibly grateful to all of the community members who provided us feedback on the GraphQL alpha. I'm also thrilled about our latest field type, Rich Text, which entered beta just a few weeks ago. You can learn more about it in the Changelog section of the newsletter. I'm looking forward to hearing how you'll be able to use it to empower your editors! Gordon Burgett and the Watermark Community Church followed up their integration of Typescript into the Contentful Migration CLI from last month's newsletter with the open sourcing of the Contentful Schema Diff tool. The devs at the Watermark Community Church have been working on this tool for the last few months. 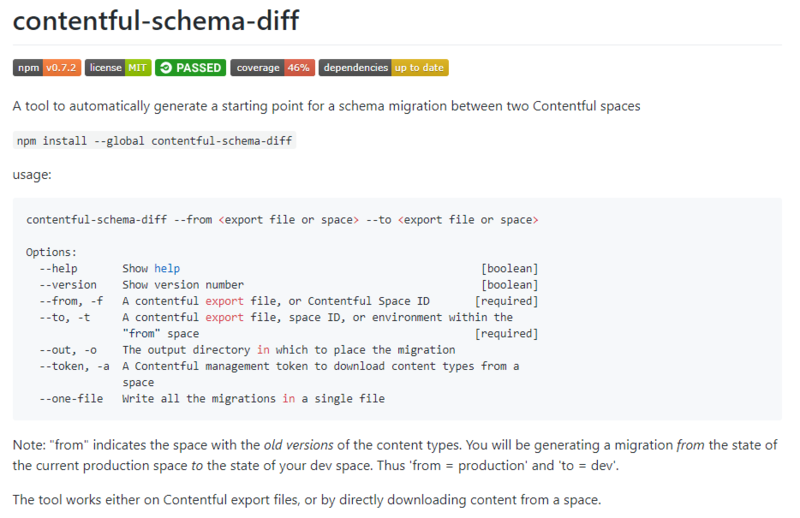 To quote from Gordon's post on the Contentful Community Forum, "the purpose of this tool is to inspect two spaces and determine the differences in their content types, and then to output a migration file compatible with the contentful-migration CLI." If you've had a chance to use the Schema Diff tool, be sure to shoot me an email to let me know about your experience. Stefan Judis wrote a tutorial on how to automatically watermark images uploaded by your team to Contentful by utilizing the serverless framework. Combining AWS Lambda with Contentful's webhook feature, Stefan uses JIMP to perform the image manipulation needed, to create a watermarked image, before it automatically reuploads that updated version back into Contentful. Chris Boakes, lead front-end developer at Breakthrough Media, wrote a great tutorial on using Nuxt to create a blog, integrating with Contentful and then deploying that site with Netlify. Check out the tutorial on his blog and the code up on GitHub. Our friends at SuperHi have launched their End of Year Scholarship for creatives interested in learning to code. I'm personally a big fan of their Ajax + APIs course which includes a module on integrating Contentful. If you work with editors or other non-technical folks that are looking to learn how to code I'd encourage you to pass them this scholarship opportunity. We created some new resources explaining how to use Contentful as a content hub that aggregates content in a single repository for digital teams so that they can assemble and integrate it — no matter the device, line of business, channel or geography. Learn more on our solutions page or check out the Solution Brief to help convince your boss. Rich Text is a field type that enables authors to create rich text content on par with traditional editors. Additionally, it allows entries and assets to be linked dynamically and embedded within the flow of the text. Rich text provides these capabilities while maintaining a rich format on the API response. The API response is in JSON format thereby eliminating the empty tags (associated with an HTML response) or shortcodes. Note: Rich Text field is currently in Beta. You can read more about this feature in the Documentation page. Keep up with all the changes and updates via the full Contentful changelog. Get famous, get free socks, and make $250 - become a featured contributor. Did you work on something that we missed? If you have something that you want to be shared with the rest of the Contentful Community, let me know. I want to hear about the stuff that you built this month!